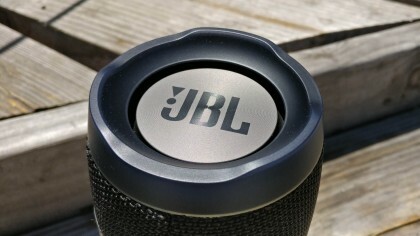 Although there plenty of Bluetooth speakers on the market, and plenty of new ones released every week, JBL has always stood out as one of the best, most reliable brands out there. Aside from the top-performing sound, its Charge line of Bluetooth speakers allow you to charge your device up while you're blasting out tunes - hence why they're all called Charge. Like many of its competitors, mainly the UE Boom series, the JBL Charge 3 is also waterproof, which means you can use it at the pool or the beach without worrying about any splashes or water-based accidents. The JBL Charge 2 won many over with its exceptional battery life, high-end build quality and good sound. That means it's definitely a tough act to follow. While we've found two small snags, we're confident to say the Charge 3 improves on its predecessor's legacy. I'll just come out and say it: The JBL Charge 3 is a big speaker. There's no getting around it. At 213 x 87 x 88.5mm, the speaker will take up a fair bit of room in your backpack or purse and at 1.76 pounds, it'll weigh you down as well. 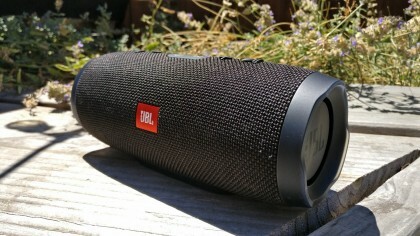 However, what you get for having such a big speaker is 20 hours of battery life and waterproofing. The waterproofing is the big new feature for the Charge 3, and it's IPX7 rated, which means you can submerge the speaker in up to a meter of water for 30 minutes. But while it'll survive a dunk into the pool it's probably best if you don't leave it there for an extended period of time. The JBL Charge 3 features dual external passive radiators that provide a visual element to your music playing – you'll see the radiators vibrate with bass-heavy tracks. Although exposed radiators are almost the equivalent of a two-meter exhaust port on the Death Star – a small weak spot on an otherwise solid product – they are sufficiently strong to withstand pokes and have a rubber guard around them that allow you to prop up the Charge 3 vertically. As I already mentioned, the JBL Charge 3 is a big speaker and that physical size translates to big sound. These speakers can really crank and will have no problem filling a large room. Outside, they can project sound fairly far but they're best experienced within about 20 ft. The Charge 3 offer some of the deepest and most powerful bass I've heard from a portable Bluetooth speaker. The bass response works best on a flat surface that can help resonate some of the sound, like a tabletop. You can prop the Charge 3 vertically but I found it negatively impacted sound so it's best kept in its horizontal orientation. I tried the Charge 3 with a variety of genres and came away impressed with just how well it handled everything I threw at it. The speaker played loudly without distortion and I was always impressed with the quality and quantity of bass offered by the speaker. The only disappointment in the sound is that high frequencies, like violins, aren't as sparkly and detailed as competitors like the Bose Soundlink Mini. 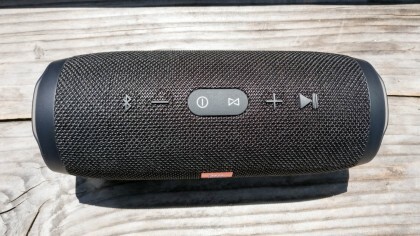 I believe the cropped highs are due to the waterproof construction of the speaker, and it's something that other waterproof competitors struggle with as well. Still, most listeners won't be disappointed by the sound and the addition of waterproof is well worth the slightly muted highs. The Charge 3 also features a built-in mic so you can use it as a speakerphone for conference calls. Overall, my friends and family found the mic quality clear and many didn't realize I was speaking to them through a speaker. The JBL Charge 3 offers excellent sound for the price. The addition of waterproofing makes it a Bluetooth speaker you can take just about anywhere … as long as you don't mind lugging its extra weight around. It's also nice knowing you can use the speaker as a powerbank for your phone to keep the tunes playing. The Charge 3 is a big speaker that'll weigh down your backpack. It being waterproof is nice, but it definitely comes at the cost of impacting high-frequency playback. And while its exposed woofers look cool, they may not survive a longer drop or a run-in with a sharp object poking around in your bag. The JBL Charge 3 is an improvement over the previous Charge 2 in just about every way. And that's great news considering we really liked the last iteration. Sure the Charge 2 may offer clearer highs but the addition of waterproofing makes the minor sound quality sacrifice easier to swallow. If you don't care about waterproofing and just want the best sound, check out the now-discounted JBL Charge 2. As a package, the JBL Charge 3 offers a compelling set of features and excellent sound quality to boot. They'll punch well above their weight, playing loudly and distortion free. 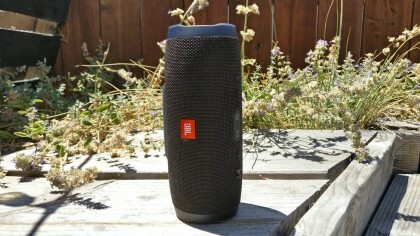 JBL Charge line of speakers has been on my shortlist of recommendations for a long time and the latest iteration maintains JBL's dominance in the portable Bluetooth speaker market. At $150 (£149.99, about AU$200), the Charge 3 is an excellent package for the money. I actually prefer it to our Editor's Choice-winning UE Boom 2 for its slightly better sound and ability to charge my phone. Plus, considering that it's $50 cheaper than the UE Boom 2, the JBL Charge 3 is a no-brainer.